GIVEAWAY: Win Two Tickets to the Museum of Food and Drink! 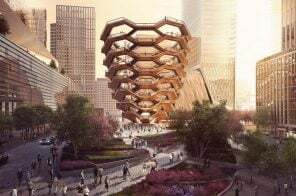 6sqft recently interviewed the Museum of Food and Drink‘s executive director Peter Kim and the Neighborhood Preservation Center‘s executive director Felicia Mayro about how food and preservation fit together. 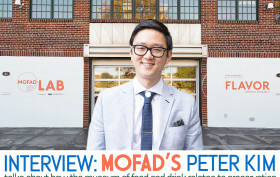 As part of the interview, Peter will be giving free admission to the MOFAD Lab in Williamsburg to one lucky 6sqft reader and a guest. You’ll get to see their first exhibit “Flavor: Making It and Faking It,” an in-depth and multi-sensory exploration of the $25 billion flavor simulation industry. Thanks to science and history displays, the one-of-a-kind “smell synth,” and various tasting tablets of flavors like MSG and vanilla bean, you’ll never think about flavoring the same again. This past October, the Museum of Food and Drink opened its first brick-and-mortar space in Williamsburg. 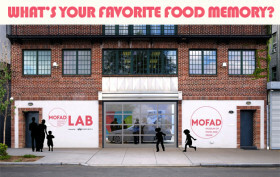 Known as the MOFAD Lab, it’s a design studio where the team is currently creating and displaying their exhibition ideas, as well as surprising a city who may have likened a food museum to merely big-name chefs and of-the-moment trends like rainbow bagels. Take for example their first exhibit “Flavor: Making It and Faking It,” an in-depth and multi-sensory exploration of the $25 billion flavor simulation industry. Two more refreshingly unexpected facts are the background of executive director Peter Kim (he previously worked in public health, hunger policy, and law, to name a few fields) and the museum’s first home at the Neighborhood Preservation Center (NPC), an office space and resource center for those working to improve and protect neighborhoods. If you’re wondering what preservation and a food and drink museum have to do with each other, 6sqft recently attended an NPC event at MOFAD Lab to find out. After chatting with Peter and NPC’s executive director Felicia Mayro, we quickly realized that the two fields have a lot more in common than you might think. Keep reading for our interview ahead, and if you want to visit MOFAD LAB, enter our latest giveaway. Peter is giving a lucky 6sqft reader and a guest free admission to the museum (enter here).